We at Affordable Heat and Air Company know well about the climatic changes of the city Wilmington and how important it is to offer the right HVAC service for our clients. It is a high risk to survive in high humidity, and there are also chances to see structural damages in the building. By giving us a call and discussing with our sales team, you can quickly get the best AC solution as per your requirement. We have more than 28 years of experience and expertise in AC installation, repair, and maintenance. It is the reason we are the top AC experts in the Wilmington, MA region. At Affordable Heat and Air Company, we have been offering the most recent brands from leading manufacturers like Lenox, Rheem, Trane, Crane, and other top brands since 2005. Our company has developed equally to the advancements of the technology and systems providing better comfort and greater efficiency, especially in the last few years. An effective latest feature-filtration systems aids in removing almost 99% of the contaminants and pollutants from the air. Another feature known as humidity control helps in stopping the development of mold and at the same time enhances the overall cooling capacity of the unit. As we have been in the AC sales, service and maintenance industry for several years, we offer AC units we feel that are perfect and best for the climatic condition of the Wilmington, MA. Moreover, we ensure to provide an air conditioner unit that is produced to meet the necessary elements and demands required for cooling. We ensure to use every iota of experience we have gained in the past decades to offer our customers with an honest and fair assessment and provide a range of choices that cater to your needs. 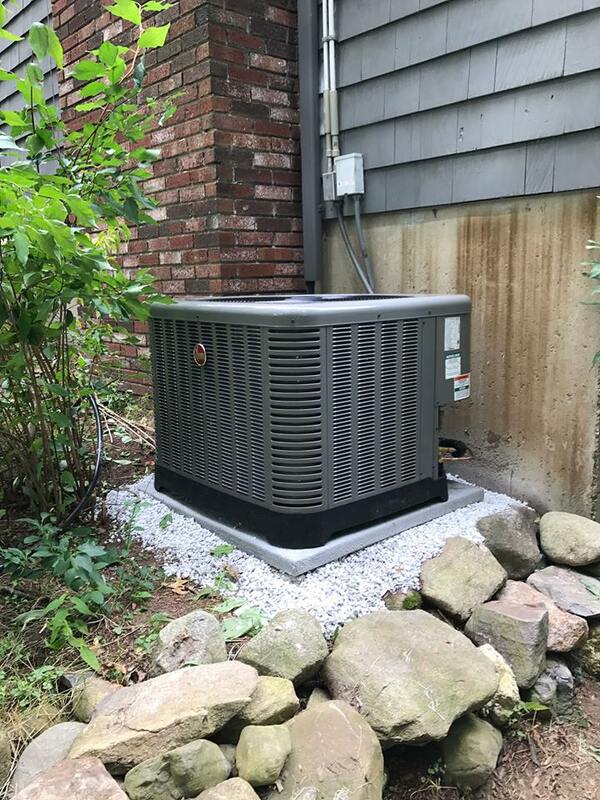 Being a leading and top AC service provider in Wilmington, MA, Affordable Heat and Air Company has developed strong relationships with suppliers who offer the chance to transfer special offers and discounts to our customers. The best part of Energy Star Rated products is that it provides many savings in terms of energy bills and maintenance for the customers. We also offer different options for credit card approval and financing during the installation or purchase of AC units. If you think that this is the right time to upgrade your air conditioner, you need to approach to our team members and get an instant quote. You can also get the quote and compare with other dealers. You would see many savings in cost, power and even additional cooling features and comfort that are obtained through our products. Affordable Heat and Air Company knows the importance of size and how it remains useful to obtain efficient and effective cooling. We are experienced in service for EPA certified cooling and heating devices, installation, maintenance, and repairs. We have offered numerous solutions and services over the years for our customers. It is well known that each person has a different requirement. If you want to get a unit with better performance, you need to consider the size and area before starting the purchase and installation process. When you are replacing the existing unit, you have to consider various factors like remodeling and renovation as these can lead you to purchase a different unit. Another major important thing to consider is the right way of installing the AC unit. It is not recommended to install the air conditioner on own or by following the DIY steps. It is best to leave the installation task in the hands of experienced professionals as they know all the knacks and tactics of installing and maintenance. When you install in the wrong manner, there are chances to face various issues like gaps, etc. It can further lead to affect the cooling efficiency and cause lower energy. Affordable Heat and Air Company is proud to own a fleet of AC repair and service vehicles which are always prepared and ready to give a solution for your air conditioner breakdown and to offer regular maintenance. Our main priority is providing you the best heating and cooling comfort. So, each of our team members even takes an additional step to offer the best quality services you worth as a valuable customer. What’s more? Invest in the best HVAC system that serves right for your requirements for a long time and fixes a consultation with Affordable Heat and Air Company in Wilmington today.